When it comes to maternity shots, everyone has his or her take but some persons shots are way beyond human comprehension. To us, we don't know about you, some shots shouldn't been thought of talkless of bringing them to play in reality. While some persons might see nothing wrong with some maternity shots but we're of the opinion that anything worth doing especially when it comes to maternity shots should be done with the fear of God. 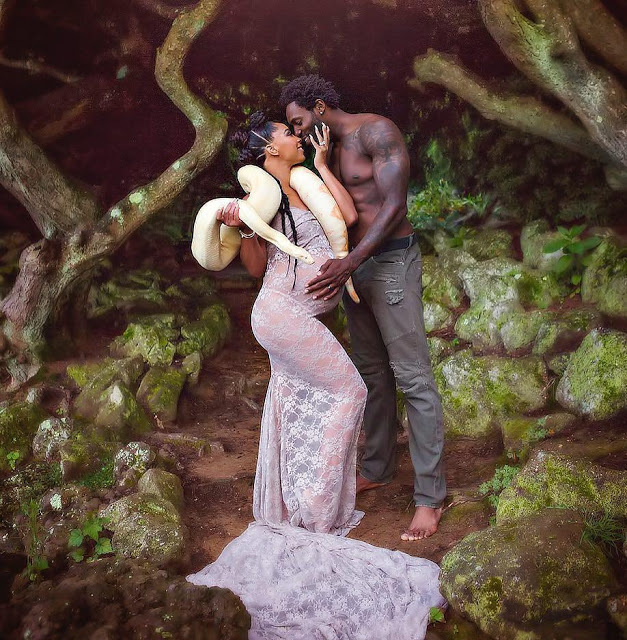 This couple's maternity shoot with this huge reptile has got tongues wagging as media users are not finding it creative enough. What do you think about this? Do you see any thing wrong with the shoot...?